Good morning! I started a new full time job this week so my schedule is changing up quite a bit. Unfortunately, I can no longer work out in the mornings (well, I could but I’d have to wake up insanely early). This is really a blow to me because I love having my workout out of the way for the day, plus morning workouts leave me happier and energized the rest of the day. Oh well. If I have to workout after work, then that’s what I have to do – even if it means I’m not home and showered until about 7:30. For me, that’s a late start to cooking dinner! My days are definitely going to be full, so we’ll see how I can balance everything out. Sleep and working out are going to have to be priorities over blogging, but I’ll do the best I can! Last night I came home, went for a run, then cooked a quick dinner before a bit of blogging and The Bachelorette. At least I was still able to unwind with a glass of wine and The Bachelorette :). I saw the recipe for this tofu on Kristen’s blog last week and knew I had to try it out! I love Thai food, especially if it’s nice and spicy. 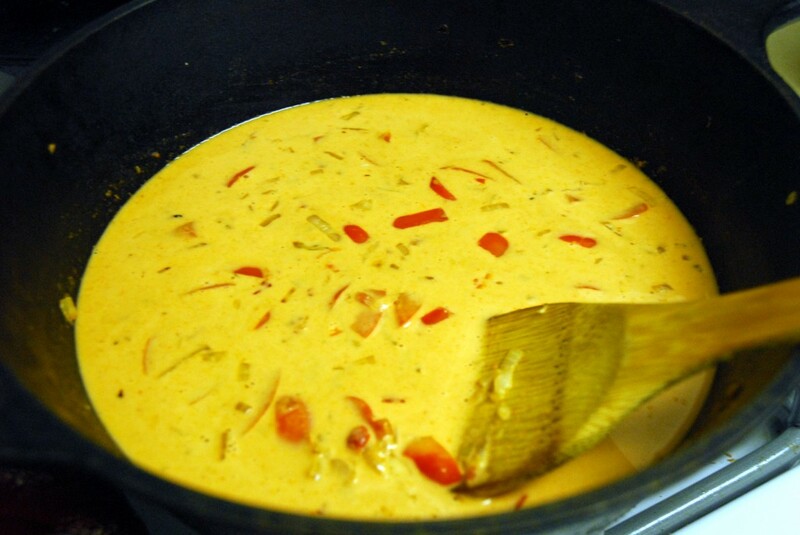 Kristen mentioned that she added extra curry to her recipe, and I added even more! If you aren’t too fond of spicy foods, you’ll want to scale back on the curry paste and the chili paste in my recipe. This recipe is bursting with delicious Thai flavors! Thai food really isn’t that hard to make if you have the right spices, so give it a try! 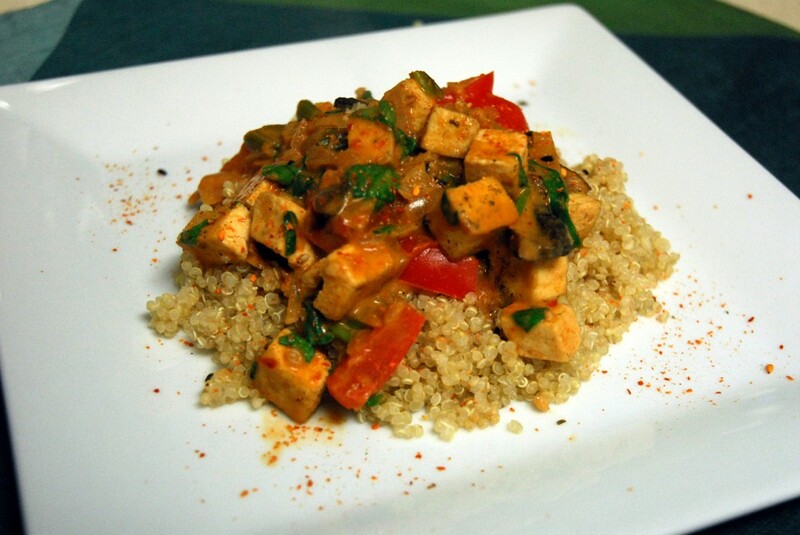 And if you aren’t a tofu fan, this would work fabulously with chicken or even beef. First, chop up all your veggies and press your tofu. When that’s done, heat a skillet to medium heat with a teaspoon of olive oil and add the onions. Cook for 10 minutes, until softened. Then add the garlic and cook for an additional 2 minutes. Add the peppers and cook for another 5 minutes. 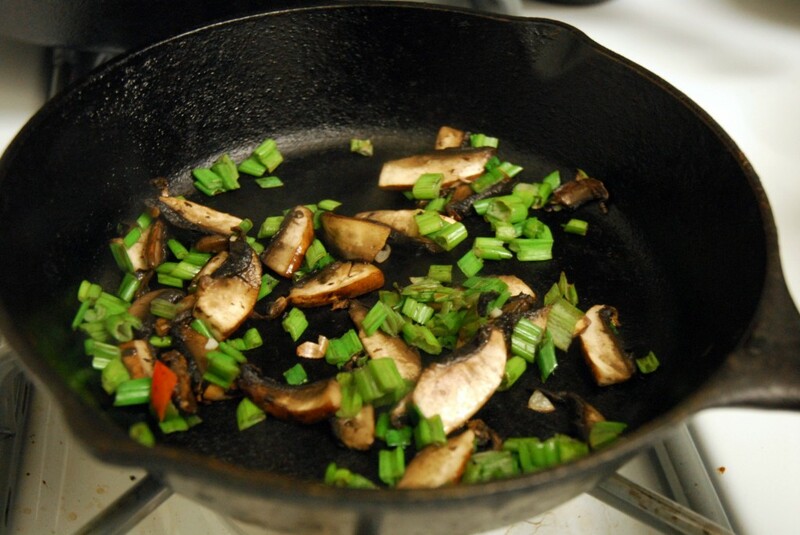 In another oiled pan, cook the mushrooms and green onions over medium heat for about 5 minutes. 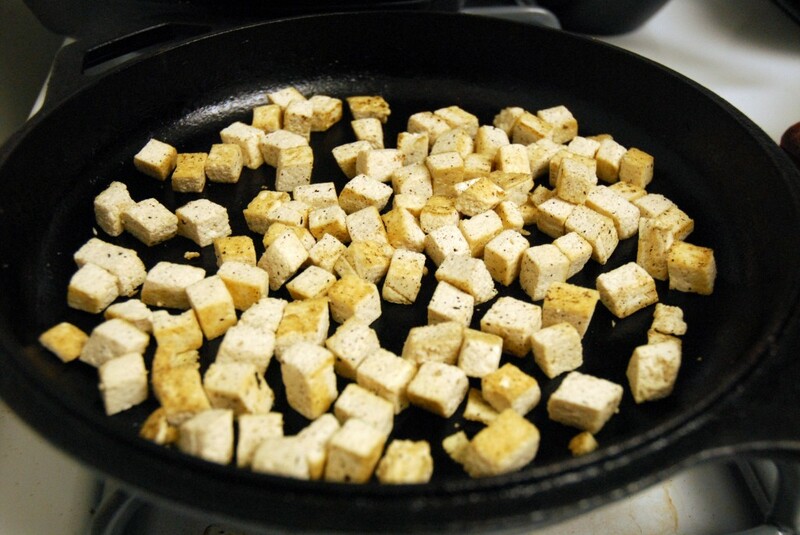 Also brown the tofu by cooking it with a teaspoon of olive oil over medium heat for about 5 minutes. 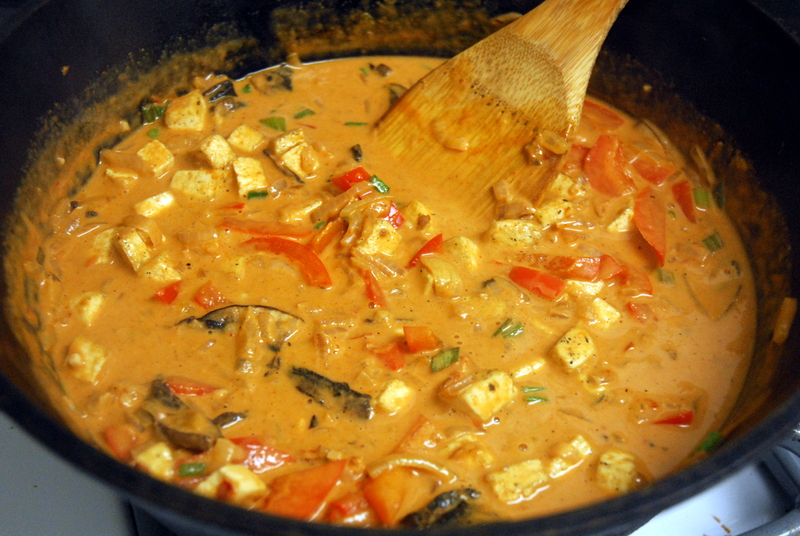 While the veggies and tofu are cooking, mix together the coconut milk, curry paste, chili paste and salt in a small bowl. 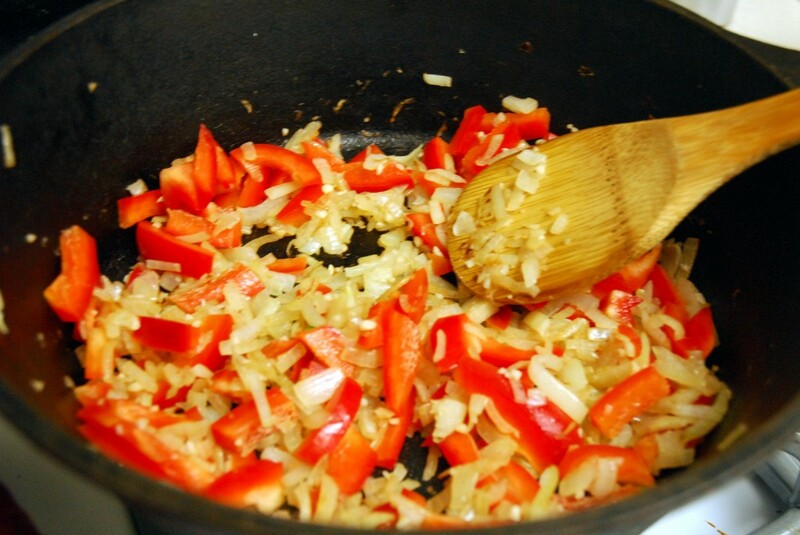 When the veggies are done, transfer them all to the same skillet and add the sauce. Simmer for 15 minutes. Then add the tofu and cook for an additional 5 minutes. When there is one minute left, stir in the spinach. Use paper towels to press the tofu (get all of the moisture out). Chop up the onion, garlic, pepper, green onion, mushrooms and spinach. 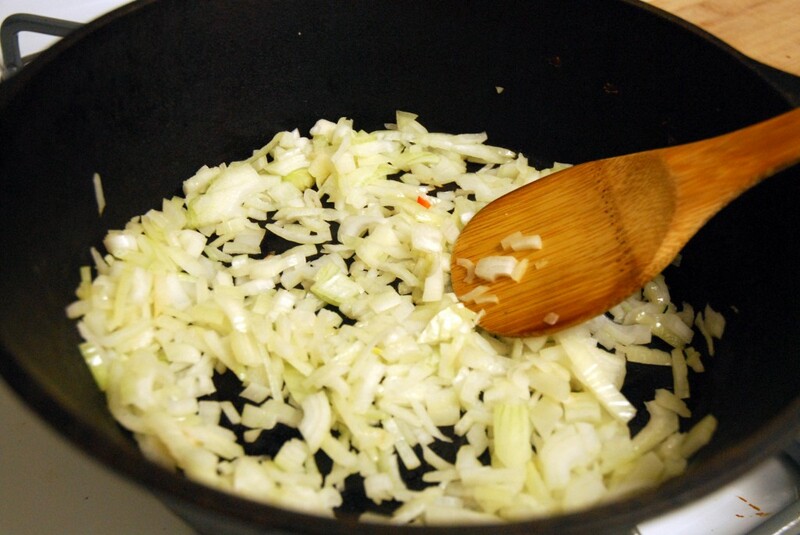 Heat the olive oil in a skillet over medium heat and add the onions. Cook for about 10 minutes, until soft, and then add the garlic and cook for an additional 2 minutes. Then add the pepper and cook for another 5 minutes. In another oiled pan, add the mushrooms and green onions and cook for 5 minutes over medium heat. While the vegetables are cooking, brown the tofu by adding it to a skillet with one teaspoon of olive oil over medium heat. Cook for about 5 minutes, until browned. 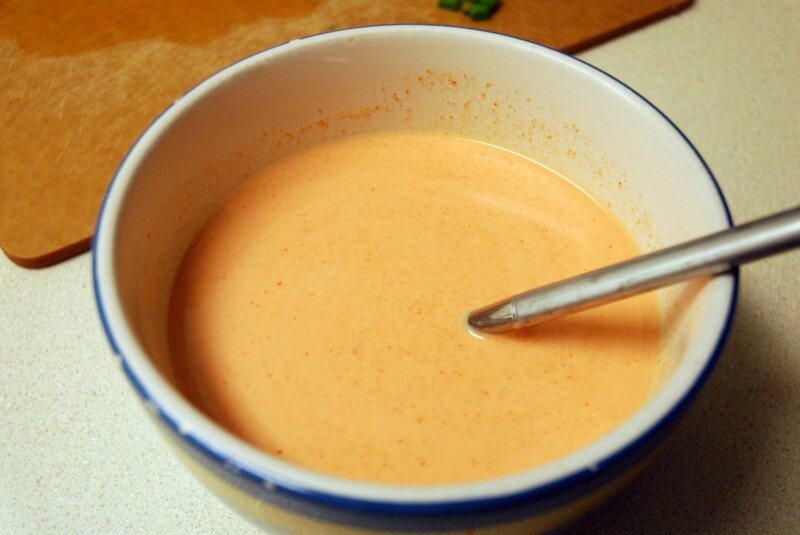 In a small bowl, mix together the coconut milk, curry paste, chili paste and salt. When the vegetables are done, add the mushrooms and green onions to the rest of the vegetables and then add the sauce. Simmer for 15 minutes. Add the tofu and simmer for an additional 5 minutes. When there is about one minute left, add the chopped spinach. 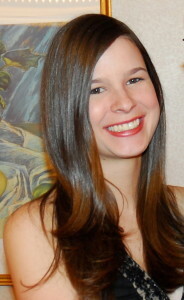 This entry was posted in Asian, Gluten-free, Recipes, Vegetarian and tagged asian, curry, gluten-free, thai, tofu, vegetarian. Bookmark the permalink. Isn’t it amazing how easy Thai food actually is? A little coconut, a few spices…love it. It’s probably the most delicious way to get a non-tofu lover to like tofu. Sorry to hear about the crazy schedule! Hopefully it evens out once you settle into a bit of a groove with the job! Haha yeah I’m one of those who needs a lot of flavor to like tofu! Hope you liked it! It was one of my favorites!! I did – it was really good! Thanks for sharing the recipe! 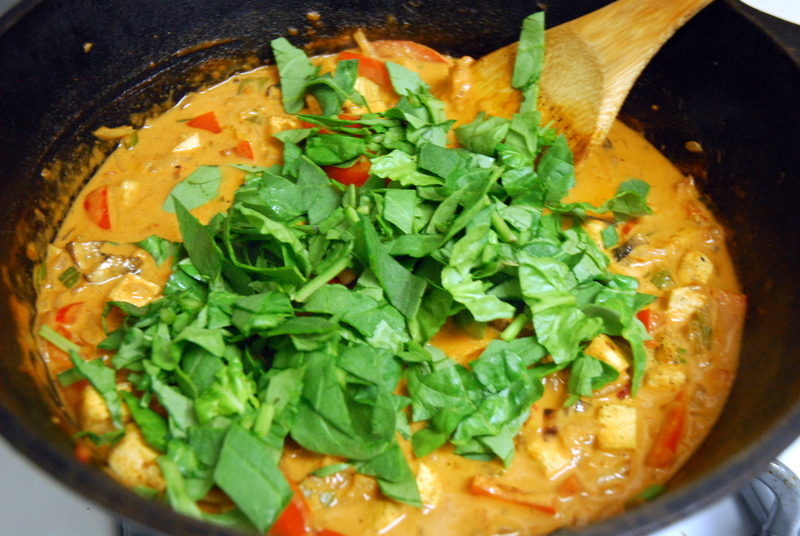 Mmm, I love Thai curry! 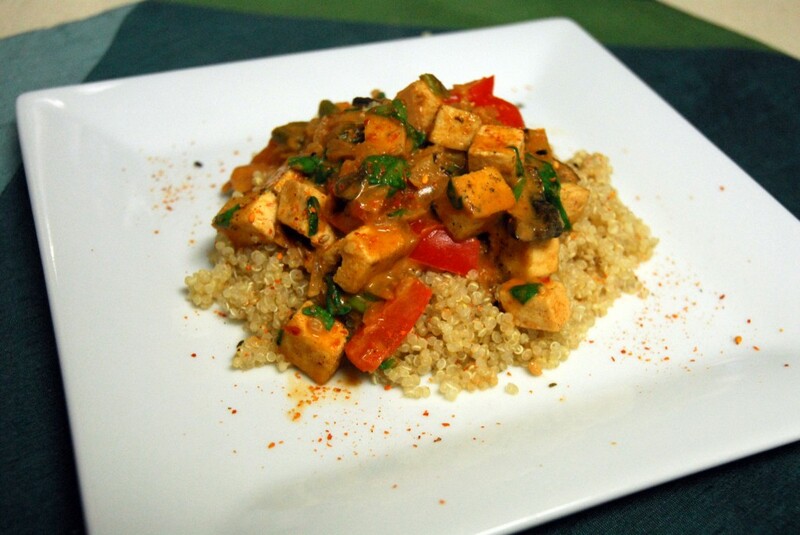 One of my very favorite recipes is Coconut Curried Salmon, but I like that almost any protein can be used. Sara @ Nourish and Flourish recently posted..Cookies or Ice Cream? Yes – I’m going to the University of Texas School of Public Health in Houston in the fall! I’m going to focus on health promotion 🙂 For the summer, I’m just working as a receptionist at a law firm to pass the time until school starts. I have one suggestion: have you ever tried peanut oil, in particular a cold pressed, organic one? The smell and taste is wonderful! Good luck for your studies. I am sure you will manage the master of Public Health. Thanks for stopping by my blog! I have never tried peanut oil, but I’ll keep my eyes out for it in the store. Thank you for the well wishes!